Two heads are definitely creepier than one. The 2-Headed Plastic Skeleton Prop 20in is a terror-ific example of why more is scarier. Made of plastic, the realistic skeleton prop measures 20-inches in length. It features bendable arm, elbow, wrists, hip, knee, and ankle joints. As well as rotating skulls and opening and closing jaws. 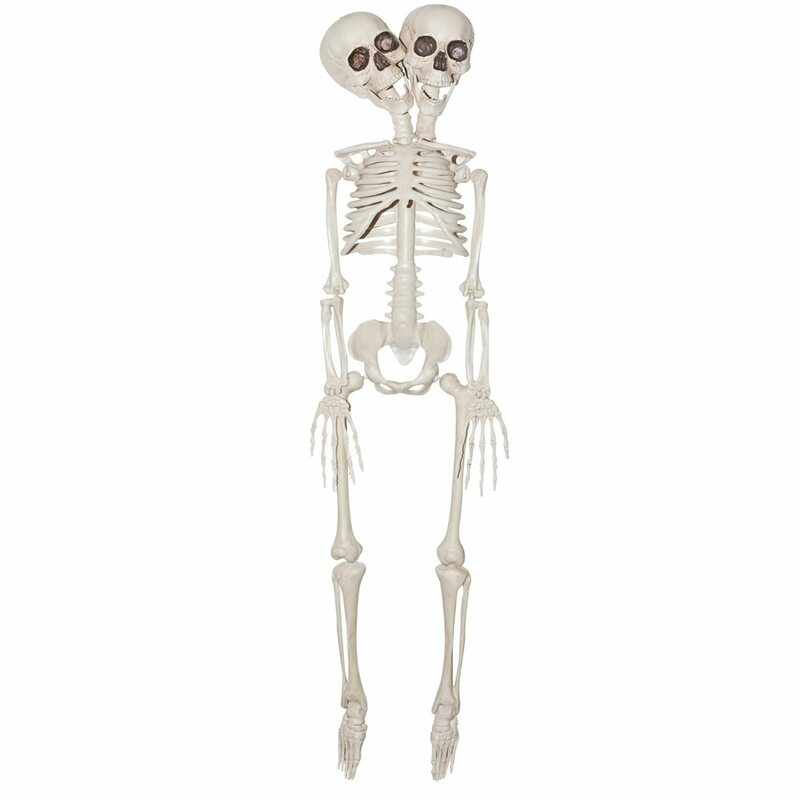 The 2-headed skeleton is excellent for any haunted house, graveyard, or freak show setting.